Campus Oil is a proud supporter of our local communities for over 30 years. We believe strongly in our corporate and social responsibilities, we achieve this by giving back to each of our local communities through providing donations and sponsorships to worthy local causes. We believe in supporting our communities, that is why we have a dedicated budget for providing financial assistance to local teams, schools, fundraisers and other community projects. 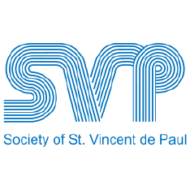 Campus is a proud supporter of the Society of St Vincent de Paul and is an active donator, assisting them in their goal to fight poverty in all its forms through the practical assistance to people in need. St Vincent de Paul offer direct, personal assistance that is non-judgemental and based on the need of the individual or family. In addition they provide a wide range of services for vulnerable people through our local offices, shops, resource centres, housing, daycare and holiday schemes amongst other things. 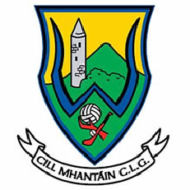 Campus is a proud partner of Wicklow GAA. Campus is the official sponsor of all Wicklow county football and hurling leagues for the last four years. Through this sponsorship, Campus is helping in promoting and developing both football and hurling within the Garden County. Campus are actively involved in the sponsorship of numerous local GAA, Soccer and Rugby clubs throughout our communities. Sport is in Campus’s DNA, with many of our staff either active or former players; these include All Ireland winners and Senior Hurling Managers. Campus provides numerous sponsorship options including team and ground sponsorship, fundraising support including golf classics.